It’s almost Halloween. 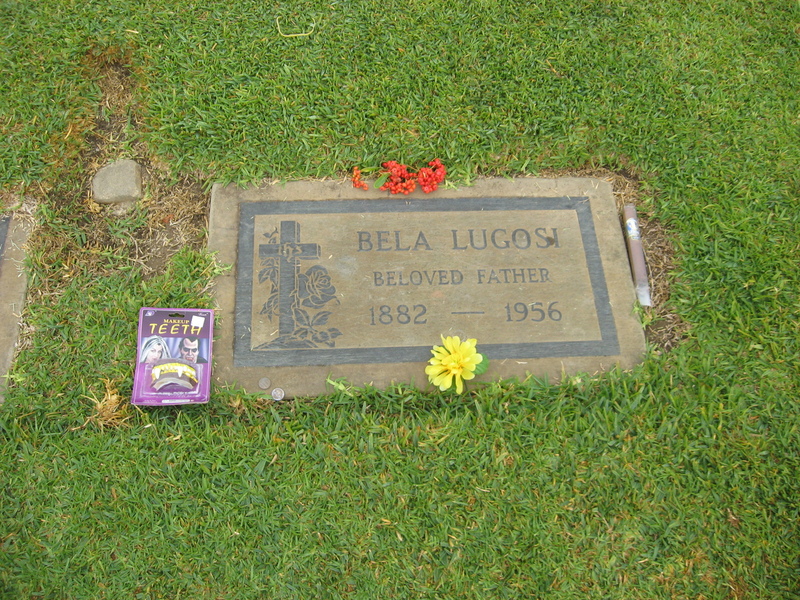 And that means it’s time for the 2013 edition of Down for the Count, where we ride our bikes to Holy Cross Cemetery in Culver City to pay respects to Bela Lugosi. This is the seventh annual Halloween ride to see The Count. It was a perfect day for riding. 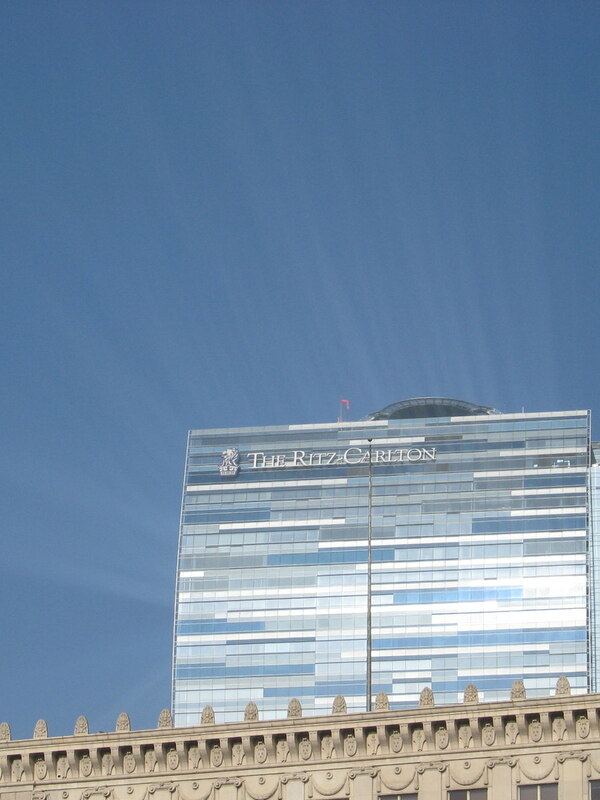 There was a slight fog in the air downtown, so we got to see the shafts of sunlight reflecting off the big Ritz-Carlton hotel by L.A. Live. 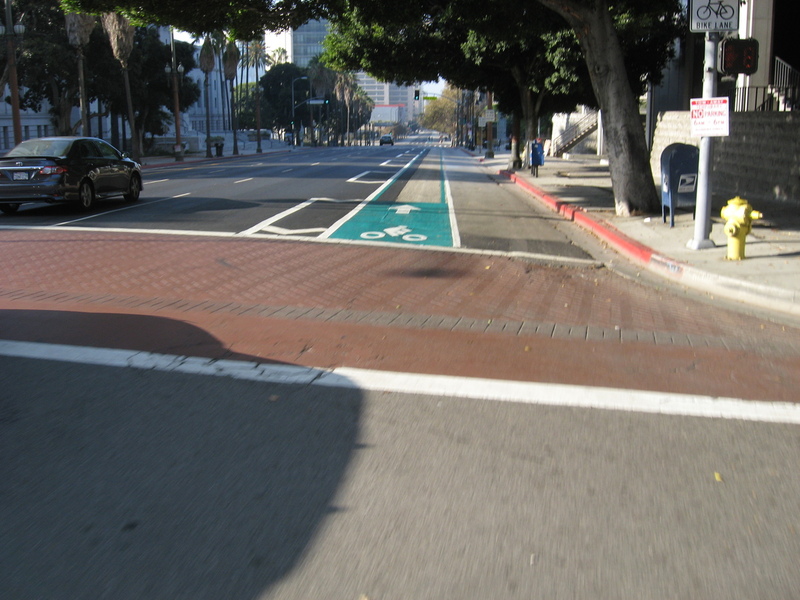 We also got to see the newly-repainted ’slightly different shade of green bike lane’ down Spring Street. I guess that was the compromise for the movie people, since they’d all complained about the old shade of green. Something about it looking funny when they filmed the street and tried to make it look like New York or something. When we got to the cemetery, we took a few minutes with The Count. His grave is always decorated a bit for Halloween. 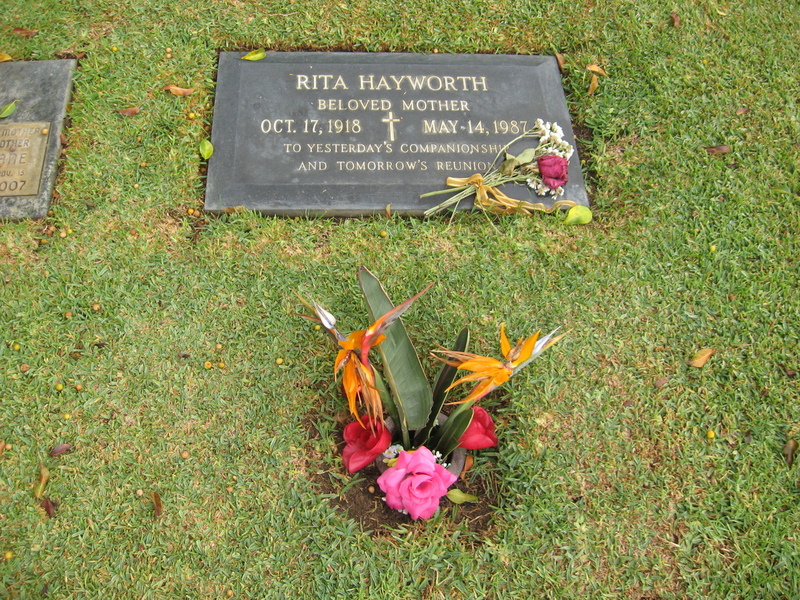 We also saw that someone had stopped by to leave flowers for Rita Hayworth. 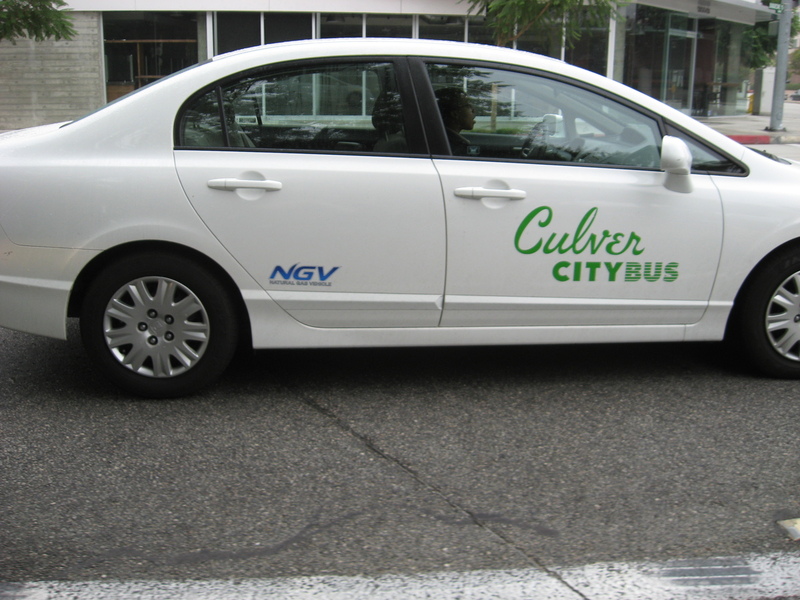 On the way back, we saw what has to be the smallest Culver City Bus I’ve ever seen. 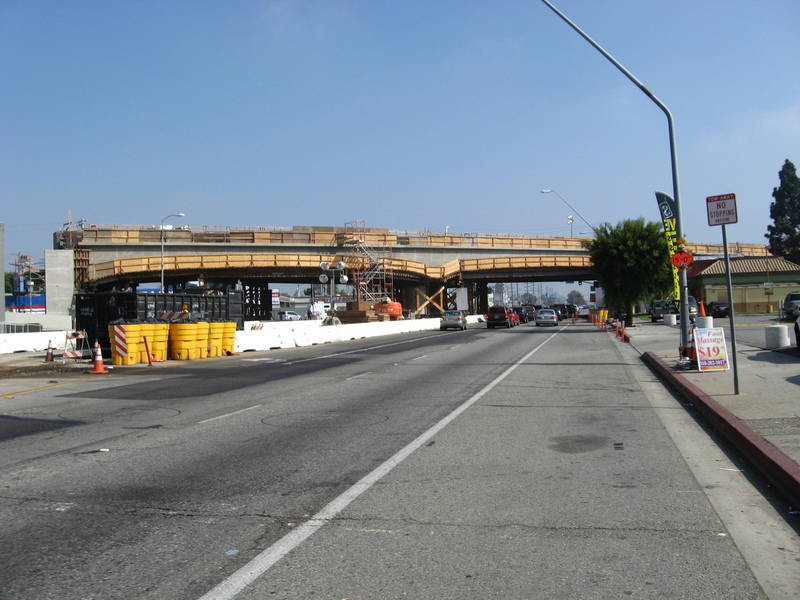 And we got to see the progress on the bridge they’re building for the extension of the Expo Line to Santa Monica. Then we rode home across the city and through Silver Lake. 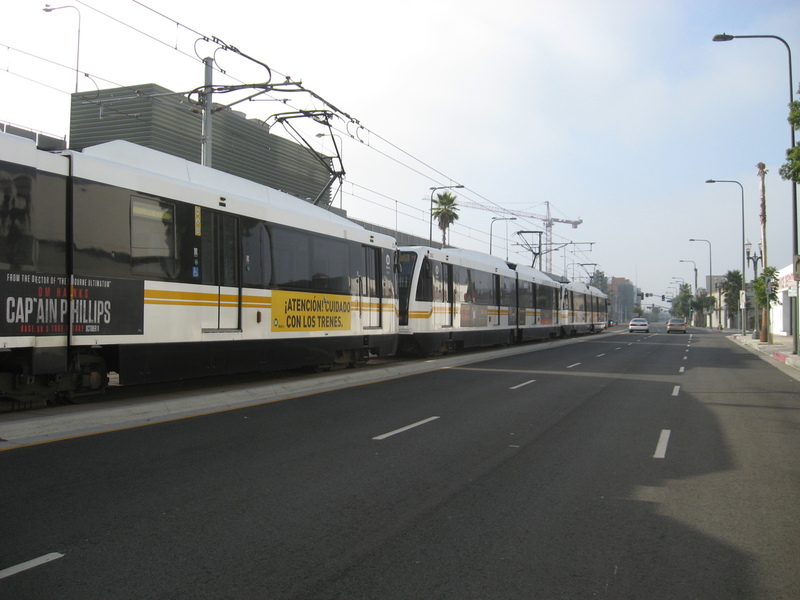 It was a pleasant ride.